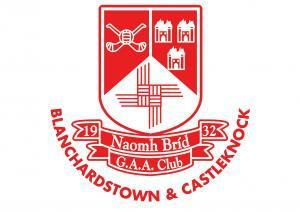 St Brigids Club Nursery Camp for 4 to 7 year old boys and girls runs from August 20th to 24th. You can book via the summer camp button on the website www.stbrigidsgaa.com. Our GAA Cúl Camp from August 13th to 17th is booked out, with all 260 places now completely full! Mixed results for our teams in the last rounds of adult league before the summer break, good wins for our lads in AHL1 v O’Tooles and for AFL3 v Ballyboden. In the AHL1 match Johnny McGuirk scored 1-8 helping Brigid’s on their way to a convincing success, with strong performances in evidence for many of the squad. Dublin Senior Men meet Roscommon on the 5th August in Croke Park. Best wishes to Paddy and the lads! Well done to Noelle Healy, Ciara Trant and Deirdre Murphy on a good win v Mayo resulting in a top of group finish for Dublin Ladies. They now play Kerry in the TG4 Senior Championship Quarter final on the 12th August. Dublin Camogie are due to meet Galway on the 4th August in the Quarter-final in Pairc Ui Chaoimh. Wishing all the Dublin teams and especially our St Brigids representatives every success. Saturday morning Nursery has taken a summer break and will be back on 1st September, have a great holiday in the meantime. St Brigids Lip Sync event will take place on October 6th, there is a huge evening of entertainment in store, so make sure to keep that date. The car park project is now well in progress. The tarmacadam is due to be laid during this week and access to the complex will change during the progress of the week. Exciting times and thank you and well done to all who helped to get the project underway. Busy week of adult football ahead before the 2 week summer break. Our AFL7 Footballers face Naomh Olaf away on Tuesday evening, our AFL1 Footballers face Thomas Davis away on Wednesday evening while our AFL3 Footballers face Trinity Gaels at home also on Wednesday. Our AFL10 Footballers face Lucan away on Thursday. All games throw in at 7.15pm. Please support St Brigids GAA when refuelling at Circle K Fuel Stations (formally known as Topaz) with the #CashforClubs initiative! Our code is #3620 and all the details are on our website! A huge thank you to our great Lotto Committee and to everyone who supports St Brigid’s Club Lotto. There was no winner of the Lotto Jackpot on Thursday last. Our Lotto Committee are also taking a summer holiday with the next draw in Russell Park on Thursday 6th September when the Jackpot will be €6,200. Keep up with all our news on our website www.stbrigidsgaa.com our Facebook and Twitter pages and via our Club App which is free to download from the App Store or Google Play Store.